Web Analytics apps offer plenty of metrics and reports that are important to your website. However there are some of the crucial metrics to be measured in every Analytics app that point to the growth. If you understand these metrics then you can plan and define growth strategies effectively. In this article, we discuss what metrics to measure in Web Analytics. Web analytics apps offer you plenty of traffic data that can point you towards website growth. However in order to make sense of this data, you need to understand where to look and how to relate that with the growth of your website. Below you'll find some of the metrics that you can measure for your website growth. Almost every analytics app offers this feature to show from where the user landed on your page. If you're using advanced analytics app such as Google Analytics, Woopra and few others then you can even pinpoint the IP address of the user. This metric can be really helpful when you are offering service or product to specific set of geotargeted users. If you've an E-commerce website then such data can help you decide promotion campaigns and you can also target your future CPC ads. Geolocation can also help you change the advertisement slots depending on geolocation. This leads to more targeted ads being displayed to specific user and gets you more conversion rate. Geo-location can be used in multiple ways for translating your blog content or offering service specific to the region. This is basically the number that shows amount of people navigating away from your site. The percentage here defines how many people are exiting your website from specific landing page. This number is higher for the website if the content is easy to consume. In case of product based sites it could be higher for some pages and lower for others. You have to keep tab on this number in order to generate more revenue. Higher the bounce rate on content based sites then it could also help in generating leads or with CPC clicks. Again every website is different so bounce rate means different for each website. You have to experiment with different type of content and methods in order to adjust your bounce rate. You have to pay attention to the pages with low or high bounce rate to understand the cause of exit. Not all traffic sources are good for your website. There are some of the scraping bots, automated traffic bots and other sources which could be harmful for your server. So in such case you can pay attention to this metric. You can also block some bots and scrapers by copying their IP from analytics app and send it to your server admin. You can reduce a lot of false traffic numbers this way. And you can also avoid spam and bot attacks on the website. You can pay attention to which type of sites are linking to you. Also the website which are mentioning you in their posts. This is very useful to know to find out how much trust for your product or website exists in the market. By understanding traffic sources you can plan your marketing campaign properly. For example, visitors landing from search should be presented with specific lead and visitors from other pages are shown another campaign. Such actions are only possible if we understand the traffic sources. The amount of time your website managed to retain a visitor decides how much your site is likely to grow. This metric is very useful for the websites which depends on the time users spent on their portal. Blogs or the websites with video content require users to stay for longer time in order to convert them into customers or adclick. Audience engagement metric is given different name in each analytics app. On YouTube you'll find it under "Average view duration". Each analytics present this data with different name and options to measure it. Always remember the more time they spent on your site is better. However do note that in case of landing page, the more time the user spend and exits could be different signal. So this is very critical metric to study and understand. In order to get the data on which content is performing better you have to mix multiple type of data such as - traffic sources, exit pages and audience engagement. You can do this easily inside Google analytics. If you're using Woopra or Gauges then you can get this data by making few changes within your content filter. Performing content tells you how search engine are sending traffic to your site. This data tells you what type of content worked on your website and what type of content is not performing. You can get rid of low performers and focus on content that works. This is helpful especially for the product or service based websites where they can find out which regions are not working at all. In terms of strategic content development this data helps a lot. Most of the analytics tools are capable of differentiating between the traffic among social media websites. You can now also get the stats of how many users are coming to your site from social media. This is very handy metric when you are running A/B tests on your landing page. Most of the people with store or shop website can use this stat to target social media users with specific ads or content. You can also get the idea of how much your social media strategies are working based on this stat. Keywords are life of any website as they tell you more about traffic and conversion points of the page. Keywords are helpful if you are trying to improve the SEO of your website. 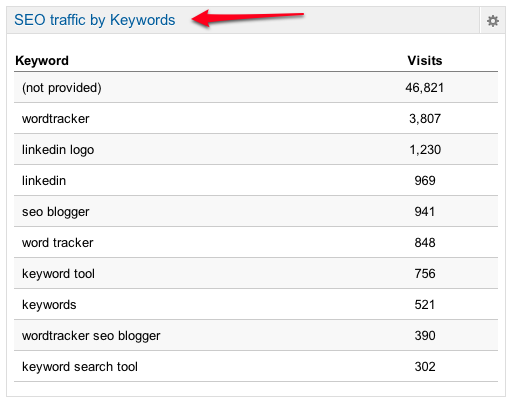 The type of keywords that landed users on your site is very useful metric. Though Google search has stopped giving this data publicly so you can't get keywords anymore in any analytics app. However some other search engines, blogs, forums and portals use keywords to link to your website. That data is very valuable too and can be used in improving your on-page SEO strategy. Keywords can also be useful in trying to find out how many of them are bringing the traffic to your website. You'll also find out how to manage your content strategy. Pay attention to the keywords on your website while using any analytics software. 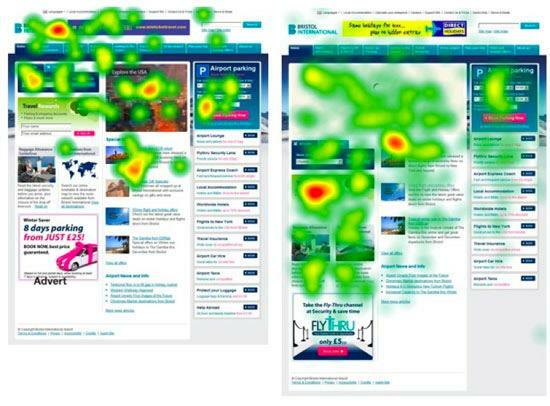 Though not exactly a metric but heatmaps are visual tool to find out where users are clicking on your website. You can find out the user behavior using heatmap. You can also find out the performance of the landing page. Most of the exit behavior can be studied using this sort of heatmaps. You can also drill the behavior down to most of the pages. Google analytics has a limitation for number of pages it can serve the heatmap. In such case you have to use services such as Woopra, Kissmetrics and Gauges etc. This metric is useful when you are building web app or the product which keeps users on your app. You can adapt the website interface based on the heatmap data. Web analytics apps offers you plenty of data that you can use for optimization. However the above listed metrics are the most crucial enough for every website. If you manage to use the data offered by these metrics then it helps you reach your audience or drive product growth.